Susan Heim on Parenting: Talking to Young Adults About Digestive Health -- Plus a Giveaway for a $50 Gift Code to ReNew Life! Talking to Young Adults About Digestive Health -- Plus a Giveaway for a $50 Gift Code to ReNew Life! One of my sons just left for college for the first time, so he’ll no longer be eating good home-cooked meals. He’ll be making his own choices about what he puts into his body, and he may not make the best selections for a healthy digestive system. ReNew Life recently launched their Young Adult Education Initiative with the goal of getting young adults like my son to pay closer attention to their digestive health. Obviously, this is not normally a very exciting subject, so they’ve added some humor to their education efforts. Check out this video that features a little, er, “potty humor”! When you visit ReNew Life’s Facebook page and click on “HowDoesPooMoveU,” you’ll find many other videos about digestive health that were submitted by people for a video contest as part of ReNew’s Young Adult Education Initiative. ReNew Life produces quality nutritional supplements that range from high-potency probiotics to fiber and Omega-3 fish oils. Their goal is to “keep you regular and then some”! They have just about any product you might need for optimal digestive health for adults, children, and even pets! I was given the opportunity to choose a product from their website and elected to try their bestselling product: Ultimate Flora Vaginal Support, which is specially designed for women to promote vaginal and urinary tract health. My body tolerated this product very well, and I had no side effects or health issues while taking it. Of course, I can’t say for sure if there was a connection between taking this product and my good health, but I’m willing to continue taking it in the hopes that I will continue to enjoy excellent urinary and vaginal health! If your family’s digestive health is important to you, you’ll want to visit www.renewlife.com and check out all of their products. And if, like me, you have a young adult in your family, steer them over to the “HowDoesPooMoveU” section of ReNew Life’s Facebook page! It’s a great way to break the ice in bringing up a subject that’s not necessarily pleasant to discuss. ReNew Life is generously offering one reader of this blog a $50 gift code to go shopping at www.renewlife.com! To enter, visit their website and check out their huge assortment of products. Then leave a comment on this post with the name of a product you’d like to purchase with your gift code if you win! You must do this to enter the giveaway. One winner will be randomly selected from the qualified comments received by Thursday, September 8, 2011, at 11:59 PM ET. Please leave an email address on one of your comments if it’s not available on your Blogger profile. Winner must respond within 72 hours or another winner will be drawn. Contest is open to US residents only. CONTEST CLOSED. Congratulations to the winner: A (Daily) Woman! DISCLOSURE: I received a product sample for review, but no financial compensation was provided. Please check with your physician before taking dietary supplements. I am not a medical professional, and this review should not be construed as medical advice. Your experience with this product may differ from mine. I'd choose the chocolate creme FitSmart shakes. I like ReNew Life on Facebook (FB name: Maddie Brubaker). I like Susan Heim on Parenting on Facebook (FB name: Maddie Brubaker). I entered the Elmer's Back-to-School Kit giveaway. The first thing I would choose is Heartburn Stop. My husband suffers terribly from heartburn but has trouble with some of the prescribed medications for it. I'd love to try some of Renew Life's products for that and other conditions! I follow you and Renew Life on Twitter as hybroanglid, and I tweeted! I LIKE Renew Life on Facebook. I entered the It's Raining Money giveaway! I entered the MasterLock giveaway! I might get DigestMore Ultra! Thanks! I entered the Fridays Gift Card Giveaway! Would love to try 'CleanseMORE' found here: http://www.renewlife.com/cleansemore.html. Thanks for the giveaway. Entered the 'Its raining money' giveaway. Entered the 'TGI Fridays' giveaway. I like you on Facebook and I would love to win this! I would like to try the buddy bear fiber. Thanks for the great giveaway! I entered the Rayovac Platinum Universal Charger & Batteries giveaway. any of the fitsmart shakes! I would like to try the Ultimate Flora Critical Care 50 Billion. 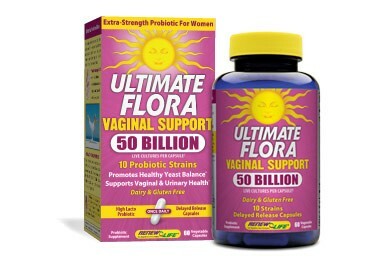 I'd like to try the probiotic Ultimate Flora Super Critical. I would choose the Heartburn Stop as I am taking stuff for it now but would like to wean off the chemicals. The first thing I would gte would be a big bottle of FiberSMART. I would get the chocolate creme FitSmart shakes. HOPE formula kit--need digestive help lol!